What causes labor coercion? It appears informally in most economies, but in some it prevails as a formal system of slavery or serfdom, with wide economic repercussions. Serfdom existed in most European economies for long periods between c. 800 and c. 1860. In many serf economies, most rural families were obliged to do coerced labor for landlords. Since the rural economy produced 80 to 90 percent of pre-industrial GDP, serfdom affected the majority of economic activity. Labor coercion under serfdom reduced labor productivity, human capital investment, innovation, and living standards, so much so that its varying intensity is widely regarded as a major determinant of divergent European economic performance between 1350 and 1861. One well-known explanation is Domar’s (1970) conjecture that coerced labor systems were caused by high land-labor ratios. In economies where wages were high because labor was scarce relative to land, Domar argued, landowners devised institutions such as serfdom and slavery to ensure they could get labor to work their land at a lower cost than would be the case in a non-coerced labor market. To the best of our knowledge, this paper provides the first investigation of coerced labor under serfdom using quantitative evidence and multivariate statistical approaches. We hold constant political-economy variables – power, the state, and the institutional framework legitimizing labor coercion – by analyzing a specific serf society: Bohemia (part of the modern Czech Republic). We calculate quantitative measures of labor coercion, the land-labor ratio, urban potential, and other socio-economic characteristics of over 11,000 serf villages, covering the entirety of Bohemia in 1757. We use these data and the theoretical framework proposed by Acemoglu and Wolitzky (2011) to investigate how the land-labor ratio affected labor coercion, controlling for other causal variables. We find that where the land-labor ratio was higher, labor coercion was also higher, and thus that the Domar effect outweighed any countervailing outside options effect. The net effect was not huge, but nor was it trivial, and it was magnified when labor coercion included both human and animal energy. The relationship between the land-labor ratio and labor coercion under serfdom displayed a nonlinear shape, arising from the technical limits on coercion in conditions of extreme labor scarcity. We also present evidence which supports Acemoglu and Wolitzky’s conjecture that serfdom was strong in eastern Europe partly because the urban sector was too weak to generate outside options for serfs that reduced the productivity of labor coercion. Our findings demonstrate that factor proportions affected coercion. Even if political economy factors play a dominant role in explaining differences across countries and many other variables influenced landlord extraction from serfs, the land-labor ratio influenced labor coercion and thus contributed to serfdom as a broader institutional system. This in turn implies that institutions are influenced, at least to some degree, by economic fundamentals. This entry was posted in General, micro, Research on November 6, 2017 by tjg. Brazil nuts are harvested from the Brazil nut tree that grows only in specific Amazon rainforest locations in key producing regions in Bolivia, Brazil and Peru. The industry within each country differs to a certain extent, but the basic principles of collection and production are very similar. The nuts are collected by groups of foragers from December until May, who travel into the rainforest to collect the cocos (pods) containing the nuts that have dropped from the tree. The harvested nuts are then supplied to intermediaries who sell them on. There are several aspects of this supply chain that are specific to the Brazil nut industry and which can cause problems. They are often found in remote locations, and require at least 12 years growth before they yield any nuts. The trees can grow to at least 50 metres tall, and successful pollination is dependent on specific type of bee. Why the sudden spike in prices? Quite simply, it was because of a drought in the Amazon brought about by the cyclical El Niño weather pattern that affects the entire Pacific region. A lack of rainfall means that the cocos drop from the trees earlier in the season, resulting in fewer and smaller kernels, which compromises supply of the full-size nuts the market seeks. In fact, the extent of the supply shortfall is such that Brazil has become a net importer of Brazil nuts, which in turn only further exacerbates the global scarcity of the nuts, pushing up prices. While this is a compelling supply-side story to explain the recent increase in price, this is not the only reason. There has also been a rapid increase in demand for nuts, as they have attracted the attention of health conscious consumers. Nuts are in demand as part of a healthy diet, and some have gained a reputation as “superfoods”. Brazil nuts, for example, are an excellent source of selenium, which is good for the skin, and can be consumed as part of a gluten-free and vegetarian diet, which would exclude other sources of selnium in whole grains or meats. If the price of Brazil nuts remains relatively high we may see manufacturers substitute these nuts with others in products that feature them – as is the case with Eat Natural bars, the wrappers of which currently mention the Brazil nut harvest failure and a temporary change of ingredients. Will consumers be prepared to accept this type of substitution? Almost certainly some commodities, in any given market, are going to be subject to situations where prices appear to increase out of line with expectations. But in many cases the reasons that cause these price events are short lived and nothing out of the ordinary as far as agricultural production is concerned. In the case of Brazil nuts the drought in the Amazon is another example of a weather event causing disruption to supply, occurring at the same time as strong demand brought about by changing consumer preferences. Such price movements may be shorter – or longer-lived. The recent shortage of courgettes and lettuce is already forgotten by most people. The speed with which new supply can be grown and harvested dictates how markets respond to demand. Similarly, there may well be a significant growth in Brazil nut supply in 2018 if the weather and growing conditions change back to their suitable baseline before El Niño. If we consider food price indices more generally, such as those published by the UN’s Food and Agriculture Agency, we can see that global commodity prices have in fact been lower throughout 2017 compared to the period 2007–2008, which saw very rapid price increases for cereals and rice. It has been argued that at the root of these price rises was poor policy-making decisions, such as incentives to encourage growing biofuels rather than crops for human consumption, leading to under-supply and consequent price spikes observed during that period. The relative strength of a currency has an impact on the cost of imports. This means we need to be careful when drawing inferences about food prices based on one-off events, when by and large the price of food – when removed from other factors – is still in fact relatively stable and low by historical standards. Article by Iain Fraser, Professor of Agri-Environmental Economics. This entry was posted in General, Impact, micro, Research and tagged Iain Fraser, supply and demand on October 25, 2017 by cm894. Overall, the workshop was a success, with around 40 attendees from the School, and from other UK universities including Warwick, Queen Mary, Oxford, East Anglia, Bristol, Leicester, Essex and Middlesex Business School. See the programme of the workshop here. Thank you to Nizar Allouch and Bansi Malde for organising the workshop. This entry was posted in General, micro, Postgraduate, Research on September 29, 2017 by cm894. ‘Nearly half of the 400,000 Rohingya refugees who have arrived in Bangladesh are children and, according to the Unicef, over 1,200 “unaccompanied children are at particular risk for human trafficking, sexual abuse, child labor and child marriage. ‘The Rohingya refugees are in a part of the world where a family’s sense of ‘honour’ is often tied to the perceived ‘purity’ of their daughters and brides. And, in a political conflict, this cultural belief can be turned into a weapon to be used against the adversary. ‘Even in normal times, arranged marriages for adolescent girls is widely prevalent in South Asia used as a means to protect them against ‘sexual dishonour’, but families experiencing distress (particularly due to natural disasters) are even more prone to marry off young daughters to reduce their economic burden. This entry was posted in General, Impact, micro, Research, Undergraduate on September 25, 2017 by tjg. ‘In a world where countries are free to subsidise exports, there are increased incentives to set laxer controls over the technologies they export and their target recipients. Each individual country looking after its own interest and thinking “if I don’t sell someone else will” leads to a worse result for all countries involved. A way out of this situation is credible coordination among exporter countries. Some of the UK main competitors in the arms trade are also EU countries with whom the UK agreed an arms export control regime. ‘The Arms Trade Treaty was the first international agreement aimed to control conventional arms proliferation by encouraging groups of exporting countries to coordinate their exports decisions and avoid undercutting each other. Brexit casts a long shadow over this only incipient effort to resolve a difficult coordination problem. This entry was posted in General, Impact, micro, Research on September 14, 2017 by tjg. In her lecture entitled ‘Economic consequences of non-export control’, Maria highlighted the different objectives of the parties involved in the trading of arms and dual use goods, and illustrated the need for effective and credible international co-ordination. She also described some interesting trends regarding the changing nature of trade in these goods and the challenges involved when regulating in a changing technological and security environment. Overall, the event explored examples of current international developments and helped to understand emerging issues for strategic export controls such as additive manufacturing, synthetic genomics and drones. In particular, new geopolitical challenges, the current difficult security situation in various regions of the world as well as challenges in enhancing the global governance of export controls on dual use items were touched upon or discussed in greater detail during the sessions. The concerns posed by the present situation in the Democratic People’s Republic of Korea were discussed. In this regard, a further fine-tuning of export control modalities was deemed as necessary for deterring or halting the various sources of WMD proliferation. This entry was posted in General, Impact, micro, Research on September 11, 2017 by tjg. On Friday 1 September, Sophia Davidova, a Professor in European Agricultural Policy from the School of Economics, became a Fellow of the European Association of Agricultural Economists (EAAE). Professor Sophia Davidova has been a longstanding member of the EAAE, first becoming a member of the Board in 1996 and serving on it for nine years. She has also been on the steering committee of EuroChoices for six years and has been a valuable support for the journal through her reviews of articles. To celebrate Sophia’s numerous and valuable contributions to the field of agricultural economics, she was awarded Fellowship of the EAAE. The School of Economics would like to congratulate her on this fantastic achievement. This entry was posted in General, micro, Research on September 1, 2017 by cm894. The School of Economics hosted a research workshop on ‘Microeconomic Approaches to Economic Development’ on 21-22 June 2017 organised by Anirban Mitra and Zaki Wahhaj. Professor Debraj Ray (New York University) and Professor Kalle Moene (University of Oslo) gave keynote presentations on, respectively, the relationship between group size and conflict, and the role of merit in economic distribution, in a session chaired by Professor Tony Thirlwall. 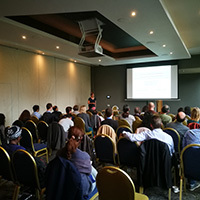 The programme also included invited talks from researchers in development economics at the Graduate Institute in Geneva, Royal Holloway College, and the Universities of Bristol, Essex, Oxford, Sussex, Warwick and Kent. The full programme for the workshop is available here. This entry was posted in General, micro, Research on July 7, 2017 by tjg. Research by Professor Fraser, and Dr Mohamud Hussein from Agribusiness Solutions Hub, uncovered that because of this incident UK consumers now place a higher value on meat products with an origin label from Britain and are willing to pay around £2/kg more than for meat with no country of origin information. This entry was posted in General, Impact, micro, Research on July 5, 2017 by tjg. by Anirban Mitra, Shabana Mitra and Arnab Mukherji, discussion paper KDPE 1711, June 2017. Campaigning in elections is costly. In countries without public funding of election campaigns, such financing necessarily relies on donations by private corporations and individuals. If, furthermore, such donations are subject to restrictive legal limits – which is often the case in several developing nations – then it suggests that election campaigns must be frugal. However, in reality elections in such contexts are rarely low-key: there exists ample anecdotal evidence of voters being bribed with cash or actual consumption goods prior to elections. The media often reports on cash seized during various elections. For example, in India the amounts ranged from 19.5 million INR (about 0.3 million US$) in the eastern state of Assam to 155 million INR (about 2.4 million US$) in the southern state of Tamil Nadu during the 2014 parliamentary election. There is, however, a clear lack of hard evidence of the extent and form of vote-buying. This is unsurprising, largely because neither political parties nor voters have any incentives for revealing any details regarding the cash (and “kind”) that changes hands. In this paper, we propose a methodology to empirically assess the nature and extent of vote-buying using data on elections from all the major Indian states. Our approach to the problem is novel: we look at the consumption patterns of households and examine how they vary before and after elections. The idea is to capture the actual change (presumably, rise) in expenditure by the voters as a result of any cash transfer they might receive from the campaigning parties. Our two key sources of data are the National Sample Survey (NSS) rounds on household consumption expenditure, conducted during 2004-2012, and state assembly elections data for that period. Each NSS consumption module contains detailed information on the surveyed households’ monthly consumption expenditure on over 300 diﬀerent commodities. Each of these survey rounds takes a year to complete and covers all states. For every surveyed household we have information on the date of the survey. Combining this with the data on state assembly elections, we are able to ascertain whether a household is reporting on consumption close to elections. Given that in a particular year only some states have elections, we have a sample with diﬀerent groups: there are households that reported their consumption just a few days before they voted and those that did so many days before or after voting. In fact, we construct ‘time windows’ of diﬀerent lengths prior to election dates to see how the consumption pattern changes. We compare these groups with the ‘reference group’, which comprises households in neighbouring (non-election) states that were surveyed on similar dates. In this manner, we tackle the main challenge regarding identiﬁcation since the timing of surveys is independent of that of state assembly elections. We ﬁnd that households tend to spend more on a range of staples, and, to an extent, on ‘intoxicants’. The expenditures on education-related items (books, school uniforms, etc.) increase too. Moreover, the eﬀects are quite substantial. Take the case of pulses: there is an increase in consumption of pulses worth around 50 INR per-capita for households surveyed close to election dates. Given that the average per-capita monthly spending on pulses is around 460 INR, this implies about a 10% increase. These “spikes” disappear with (chronological) distance from elections. Using our estimates, the approximate monetised value of the consumption spikes in a district on average turns out to be 2,900 million INR. This ﬁgure, when aggregated over a 5–year period (to allow for all states to have elections) comes to around 9% of India’s GDP. These estimates are too substantial to be explained by legal public spending and indicates the presence of the “black economy” in Indian elections. This entry was posted in General, micro, Research on July 4, 2017 by tjg.